The largest music series of its kind to be held at Ho Tram, this event will last over 6 hours and will span local talent plus touring artists (to be announced soon) culminating to the main event with Above & Beyond! With an expected attendance in the thousands of people, party-goers are going to be offered a show like no other! No hassle packages are available, including hotel options in conjunction with The Grand Ho Tram Strip plus round trip bus transfers from Ho Chi Minh City throughout the night. Includes general admission to the event. Prices per person, inclusive of taxes and fees. Includes access to VIP box and admission, special collective ticket, free flow beer. Prices per person, inclusive of taxes and fees. 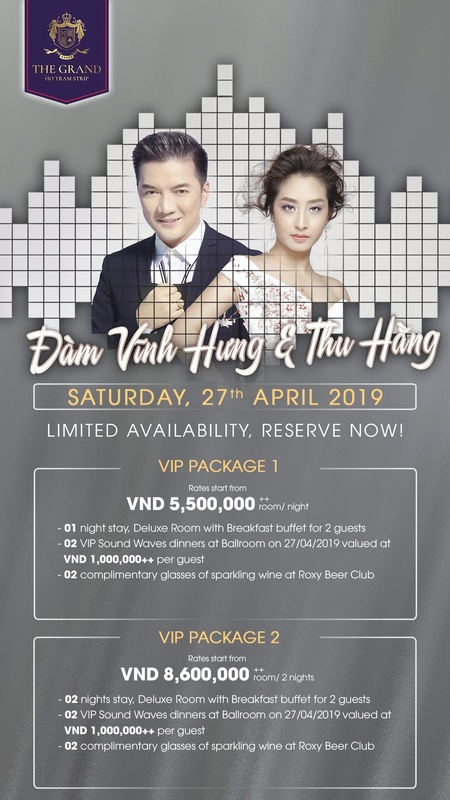 Includes two General Admission tickets, accommodations for two at The Grand Ho Tram Strip, International buffet breakfast for two, and complimentary WiFi access throughout the resort. Click here to book your room package today!